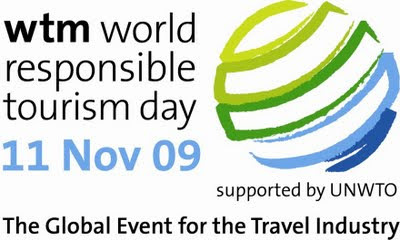 WTM World Responsible Tourism Day, the only global day of action of its kind, is being supported by the UNWTO and leading industry associations. The day is vital – for business, for profitability and for our planet. It means taking care of a world that we seek to promote, preserving our heritage and cultures and taking into account the views and needs of local communities. The Blue Yonder has been supporting this initiative for the last three years and has once again shown our commitment to Responsible Tourism. Our role doesn't stop by celebrating the Responsible Tourism day, but in sustaining our initiatives to promote and build Responsible Tourism as the way to travel. As in the last 4 years, The Blue Yonder will also be exhibiting at the WTM. Details of attendance are being finalised and we will announce the details at the earliest.